Date nights are all about connection and setting time aside for each other. But quality time isn’t just good for your relationship; it’s good for you and your besties, too. There is nothing like a good night out with the girls to cure just about anything that ails you! Laugh, let go, and make time for the important ladies in your life. 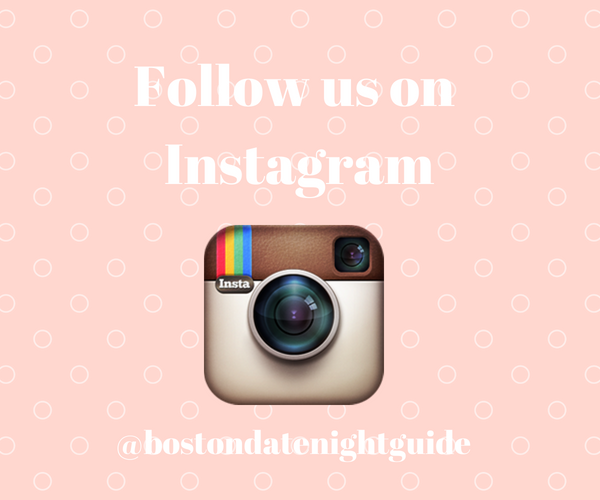 Here are some fun ideas to inspire your next Boston Girls’ Night Out when you and your ladies just need some time to yourselves! After a fun girls’ night out or just for its own sake, brunch is always a good idea with the ladies and calories don’t count when you are enjoying them catching up with friends. Try out The Gallows in the South End for some unique comfort food brunch items like Sunrise Poutine or Chicken and Pancakes. Splitting a coveted Blackbird Doughnut (or two) here at brunch is a must as well. 6b Lounge is a cool martini and wine bar with a unique drink menu nestled in Beacon Hill. They also serve up some awesomely retro dance party fun here. This is the place to take your ladies out to party like it’s 1999. Every Friday night the 6b lounge presents the top hits of the 90s/early 2000s and every Saturday is the best of the 80’s top dance hits. Girls just wanna have fun after all! Enjoy some “honky tonk in the heart of Fenway” with your ladies at Loretta’s Last call. Along with the amazing fried chicken and southern inspired dishes, the live country music is big here. Every Tuesday and Sunday night free line dancing lessons are offered starting at 8pm. So get the girls and go country here for the night! Go all out prohibition style at this very cool speakeasy themed cocktail bar located in the back of the New City Microcreamery (which as a bonus is an amazing little ice cream shop to treat the ladies to here as well!) in Hudson. Head to the wooden door at the back of New City and then as they say “switch on the light, wait for the delight”. The door opens and you will be welcomed into Less Than Greater Than where inventive cocktails flow and the from scratch kitchen puts out Asian inspired seasonal dishes to enjoy. A fun girls’ night out on the downlow! Get away from the usual family dinner grind for a night to enjoy some fine Italian cuisine and wine in a very grown up atmosphere at Davio’s Italian Steakhouse in Chestnut Hill. After a fabulous dinner, head over for a movie at the Showcase SuperLux (conveniently located in the same building) where you can settle in your extra wide plush leather chairs (electronically reclining all the way back!!) and order up an après dinner cocktail or dessert while watching your show. Get creative and paint your own masterpiece on canvas while also sipping on some fabulous wine! There is a great wine and beer selection along with a choice of finger foods at Muse. Creativity needs fuel after all. Muse Paintbar offers classes 7 days a week. The offerings include everything from classic canvas projects to decorating wine glasses to paintings with LED lights. Choose the perfect project for your gang by checking out their online calendar and current offerings. Offered at various bars, restaurants, shops and venues in and around the city, a night out for an Alice’s Table event is a fun and creative way to spend time with friends. A night out of flower arranging and sipping cocktails together is sure to make some memories to cherish as well as create a beautiful keepsake to take home. Check out a fun local restaurant, bar, or interesting new venue and spend sometime making seasonal creations with fresh flowers. Check out their website to see their upcoming events and locations. Get the ladies out for a day together of some much deserved relaxation and wine tasting fun. Head to this charming and scenic local winery where they make over 30 varieties of their local wine. There are many opportunities to taste and enjoy the wine here along with their beautiful orchard setting. Bring your own snacks and hang out picnic style while sipping glasses of vino, visit the tasting bars, or enjoy a gourmet brunch at the on-site J’s Restaurant. A short tour of the winery is also a fun idea to add to a day out here – see how they make the wine you get to enjoy right on-site! Eat, drink, bowl, golf, AND dance the night away at this fun and inventive venue right outside the home of the New England Patriots. The food here is upscale and the cocktails are flowing even while you are bowling or golfing! You can have a sit down dinner experience then bowl or enjoy wait service while in your lane and nosh in between strings. The Topgolf swing suites also offer dining in your semi private space. On weekend nights, you and your girls can also get your groove on dancing the night away to the fun live music show from Howl at the Moon right inside Splitsville. There is more than enough here to keep you and your gang happy all weekend long! Head out with your friends to take a break from the typical dinner repertoire and get your Fondue on for Ladies Night. Such a fun and different way to connect with friends over pots of various fondue feasts and refreshing cocktails. At The Melting Pot restaurants, you choose your experience and cooking styles to make it right at the table. Start off with a cheese fondue fiesta and end the night with the flaming turtle for dessert (milk chocolate, caramel, and candied pecans). You can pick a four course experience or just stick with the basics (chocolate and cheese courses!) but you really can’t go wrong with night out of fondue here!